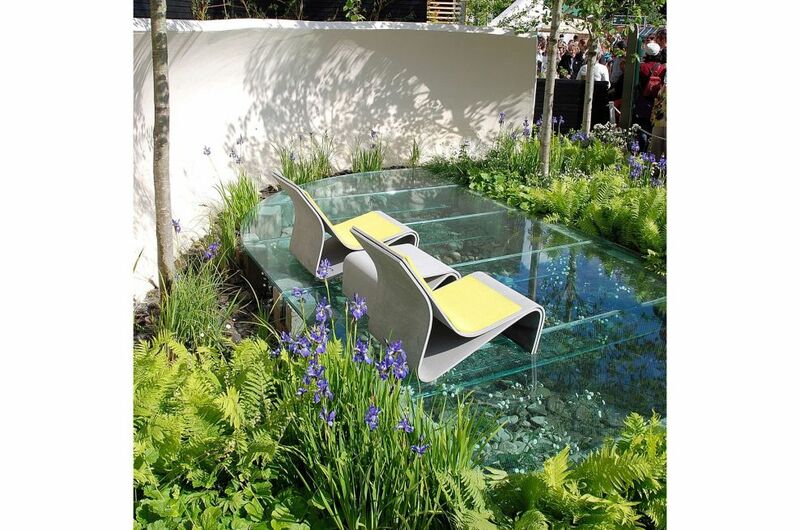 Bold, modern garden furniture from IOTA was showcased in The Witan Wisdom Garden at Chelsea Flower show 2009. 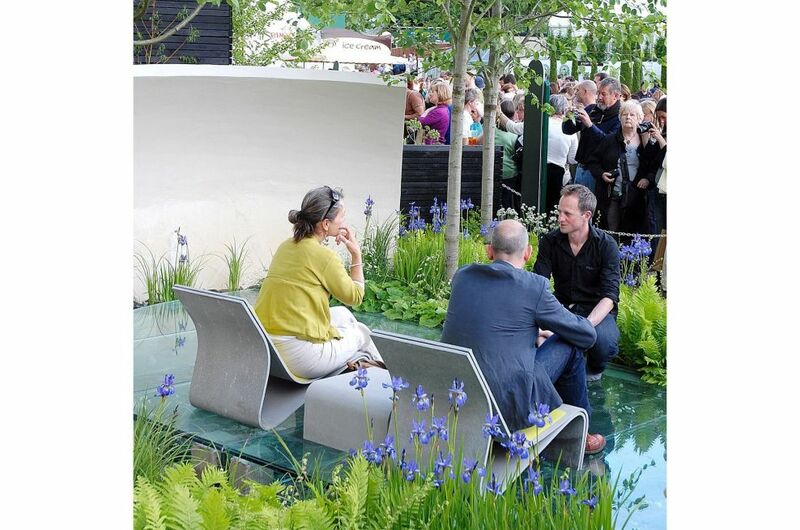 The garden was sponsored by Witan Investment Trust, and designed by NDG. 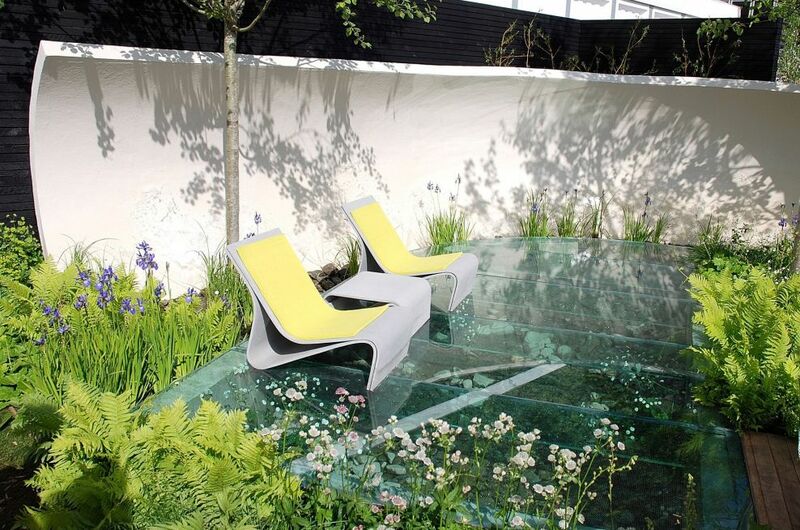 The sculptural Sponeck Chair and matching table were chosen as furniture for the garden, from IOTA’s Boulevard range. Made from high-performance Fibre Reinforced Cement [FRC], the Sponeck Chair is a sinuous, folded form more commonly seen in furniture crafted from steam-bent plywood. The chair is both strong and comfortable, with its shape gently cradling the body. 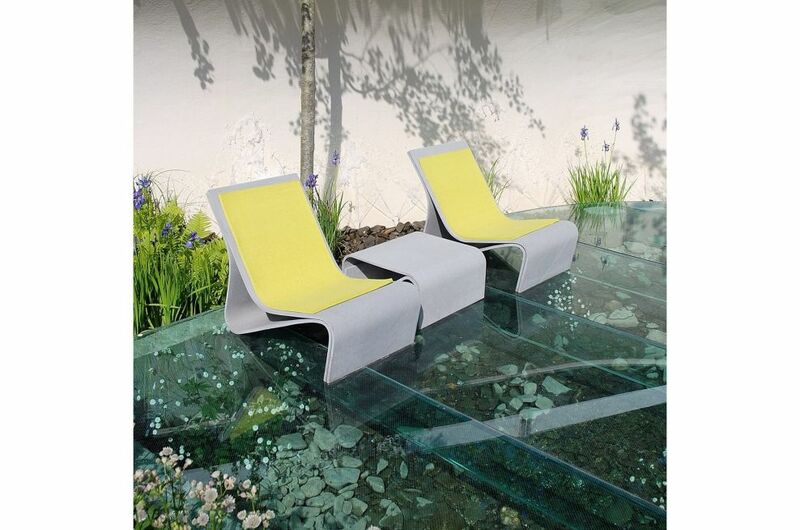 The material colour is a minimalist and architectural light Grey colour, which looks striking against boldly-coloured cushions which are available in Anthracite, Red and Lemon Grass (as shown here). 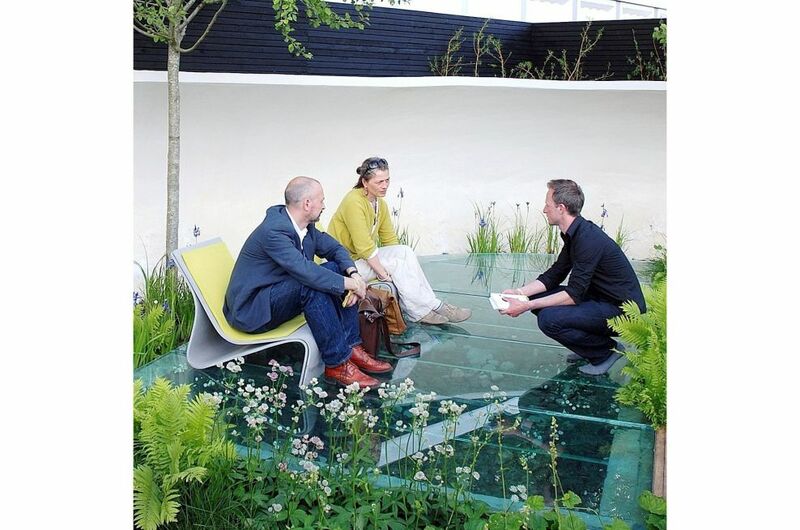 “This garden allows you to escape from an often harsh and stressful urban environment and reconnect with nature. 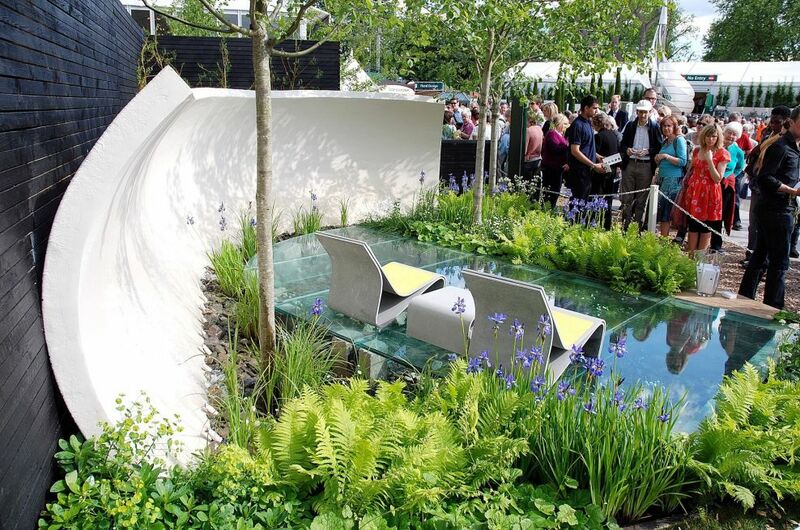 A minimalist selection of materials creates a calm and ordered effect which allows clarity of thought, and the elegant curved wall shelters and protects you from the outside world. 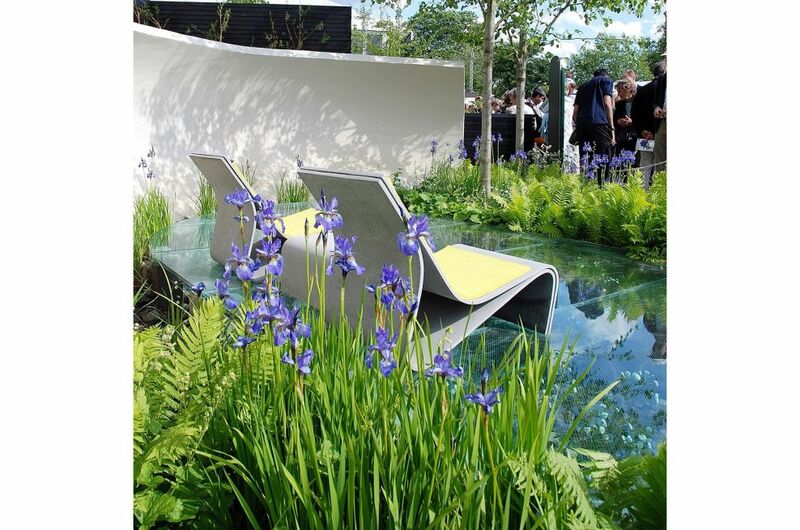 Within the garden you are supported above a fast-flowing stream by glass, that allows you to observe the simple pleasure of moving water and washes away your worries”.